When I got the invite to review Getting Jesus Wrong by Matt Johnson, I was intrigued. I am more of a fiction reader, but faith is an important part of my life and I was intrigued by the idea behind the book - that in our faith and our needs we have created this perception of Jesus as a Life Coach, a Checklist provider, a Movement Leader, or a Cultural Visionary. In the past, I have taken several courses in college and been part of groups as an adult that have leveraged one book or another to fuel a conversation that allows us to challenge what our interpretations of the teachings of the Church and the Bible are. So, I thought this might be a good book to continue those opportunities to challenge my thinking. The book is set up with the first section sharing some examples that in retrospective the author felt were examples of the wrong approach to consideration of Jesus and the second section some thoughts for moving forward. There were a few that spoke to me...whether I agree or not, they were things that got me thinking. "The advice-oriented teaching I received in churches was meant to be helpful. Nobody was knowingly trying to deceive me or the congregation." He shares about having an uneasy feeling after listening to a sermon on marriage. He shares that the Sunday church service doesn't feel like the right place for this, but rather that time should be focused on sharing Jesus and his forgiveness of sins, sharing Scripture and partaking in communion. "I can get sound marriage advice down the at the local bookstore...on Sunday, I need to hear the message I'm not going to hear anywhere else." The author at one point talked about how to make the stories of the Bible relate-able to current times and situations. I think that is a challenge that many churches are trying to address and one that when they can draw parallels and convey the story in 'modern' times, goes a long way in helping the community hear the message and live the message. There were examples he shared about the focus of many churches being about growing membership and raising dollars for the church. This was one that was interesting to me, because my husband and I have talked about how we have no problem with giving to the church, but that the constant inclusion in the sermon to remind us that we are obligated to give and the act of collecting during the service can be frustrating - I recognize that some people need it to be right there to remember or be willing to contribute - but it still makes it feel like the focus of the service is not on the Gospel but on 'making' money. The book was okay, but not great. It certainly got me to think about things like what sermons that speak the most to me, what do I look to get from my church experience, and how can I help give relevancy today to the stories in the Bible. 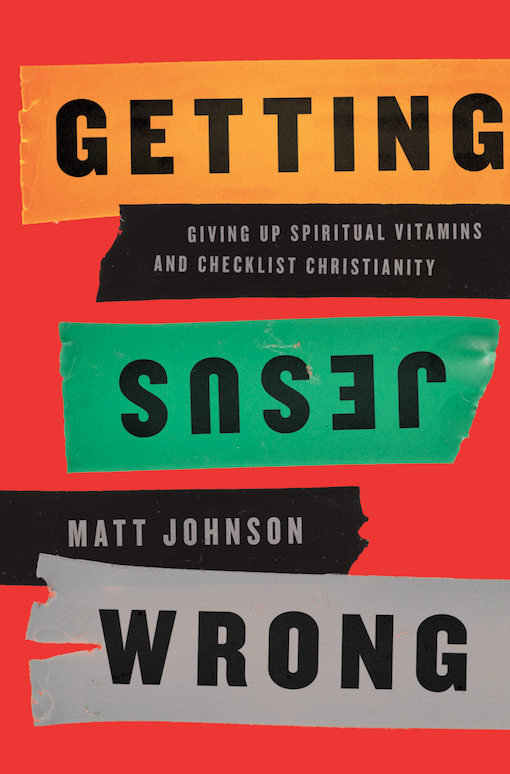 In general, I expected it to be more about how people as individuals or part of groups get Jesus wrong, but it felt like it was all about the different churches approaches (that are wrong) and how people are drawn to those approaches and thus get it wrong. It might be an interesting book to use as part of a book club or a good conversation starter for a Bible Study group. Learn more and read more reviews on the Blog Tour Landing Page.